When women started using drawstring pouches to carry a handkerchief, a fan and perfume around in the 18th century, they wouldn’t have imagined it to grow like a craze in the times to come. Distinguished on the basis of handles and shapes, bags now come in a variety of sizes and forms with the most comfortable and functional being the cross body bags. Capable of storing all your daily essentials while keeping your hands free for mobile phone, coffee, and shopping bags, they are practical accessories that are adored by the ladies across the world. At TJC, we have put together an exciting assortment of cross body bags for the women in UK and Europe at unbelievable prices. From simple to dressy, from large tote style to small clutch size and from leather to faux fur, you will find cross body bags suitable for every occasion. Set your heart on the classic black, grey or tan pieces finished with metallic accents and step in your workplace every day in style. Throw a leopard print or retro style satchels with fringes and tassels across the body for your shopping trips and turn some heads in your direction. 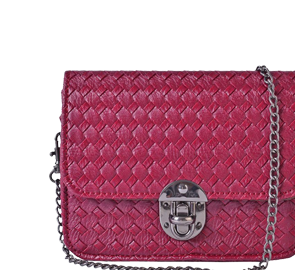 Spare the croc-embossed, snake skins and atypically shaped designer cross body bags for a lunch date or special after-dark events. The style is how you use fashion to make an impact and bags are the perfect way to achieve an impeccably put-together look. Add a scarf or a charm to a medium cross body bag and make it a style adored and envied by others. Combining function with the trend, these pieces are occasion-ready and we are sure you can make some space in your closet for them. Chic colours or classics shades, work essential or shopping companion whatever your preference is we have a piece to suit individual needs and resources. Lift your outfits and redefine your style with a designer inspired handbag from TJC!